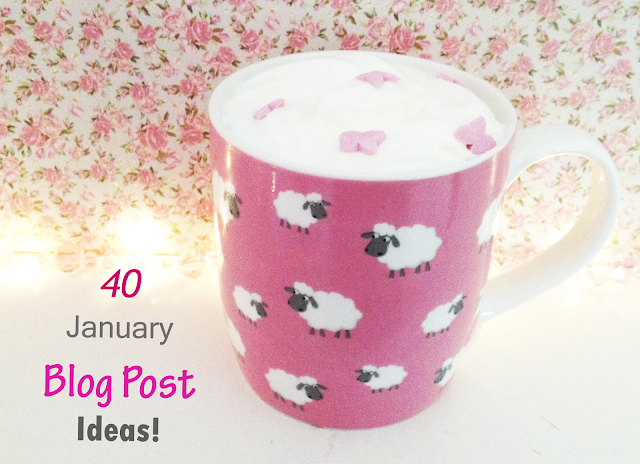 Blossoming Daydreams: 40 January Blog Post Ideas! 40 January Blog Post Ideas! With all the festivities soon to be behind us, it can be difficult to see the positives in January. Little motivation can result in out blogs looking deserted- but fear not, here is a list of 40 blog post ideas that will make your blog flourish (or even blossom-hehe get it?!) throughout the month of January! I hope that those ideas have given you some inspiration for your blog this January. Oh, loving all these ideas!! Thanks for sharing! The Portland Hotel in Manchester Blogger Review!